Leading a successful life means preserving the incredibly fragile balance in the many existential dimensions, of which the biological or the social are just components. Today, we will be talking about an instrument designed to maintain a certain physical balance, precisely the desired balance in a person’s gut, probiotics. The organic metaphor has had a long life in the fields of social and philosophical thought, however, a person’s digestive system can be considered an organism in itself. The well-being of everyone’s insides is heavily dependent on the bacterial balance that smooths the chain of biochemical processes which account for normal digestion. Probiotics are designed to “normalize” imbalances that may arise in the bacterial framework of an individual’s digestive tract. 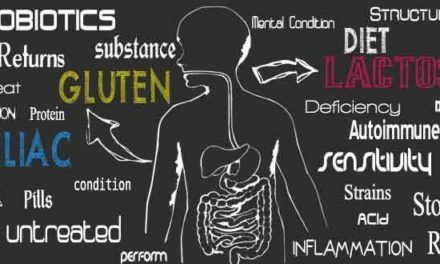 In the complicated network of interdependencies that is the human body, the importance and the implications of a healthy digestive system are critical. Probiotics do have their share of controversy, as every (relatively) novel development and direction of research has. That being said, the potential applications of these substances are only beginning to be fathomed – ranging from gastro-intestinal to neurologic. Therefore, let us take a look into the world of probiotics, where we will consider their nature, their history, their legal and scientific status, and ultimately discuss some probiotic foods and supplements available on today’s market to see if the hype surrounding them is warranted or not. Every semi-ignorant high school student knows that there are millions of microorganisms residing inside the human body, of bacterial, viral or fungoid nature, symbiotic with our body. As a corollary, a disturbance in those relationships can have deeper implications, leading to effects ranging from momentary discomforts to potentially dangerous disorders. In line with these certainties, there is no giant intellectual leap to envision that humans can play around, tweaking the proportions of the microorganisms above. In fact, eating or drinking anything does just that. 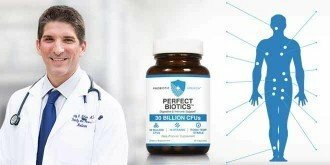 The underlying principle behind probiotics is identical – scientifically tweaking those proportions to achieve the desired effect. The World Health Organization (WHO) defined in 2001 probiotics as being “live micro-organisms that when administered in adequate amounts confer a health benefit on the host”. In scientific terms, the layout of bacteria (plus the viruses and fungi) that I was talking about is called microflora. Each organ has a microflora, and each microflora can suffer modifications (from external or internal factors) causing the organ to stop functioning optimally. To further enhance the explanation, let us consider the etymologic couple anti-biotics and pro-biotics. Antibiotics are designed to kill harmful bacteria in our bodies (they also have the penchant for destroying benevolent ones), therefore probiotics are meant to perform the opposite. Interpretation in a more humorous tone would be that they are as “pro-life” as pro-life can get. The colonies of bacteria that are an integral part of any organ’s microflora can become de-structured because of stress, illness, an unhealthy diet or aging. Their rejuvenation can have significant benefits for any organism. To further underline the fact that probiotics is swiftly moving away from the status of hypothesis or interesting speculation, it should be noted that an institutional framework is under development with the existence of the International Probiotics Association, which organizes annual (well-attended) symposiums and could be transformed into an arbiter on these matters in the years to come. That being said, to get a clearer picture let us delve a bit into the history of probiotics and see the (seemingly ordinary) evolution from reality to concept and back again. The history of what we now (retroactively) call probiotics begins sometime in the Neolithic age when the advent of an agricultural-based society led to the discovery of the benefits that the process of fermentation entails. Fermentation is a process that, in addition to making particular products feasible for consumption for a longer time, lowers the pH of the product making its digestion less of a challenge for the human body. The discovery of fermentation was also a technological landmark in the history of humanity, being one of the first methods of food preservation. Many dietary staples are a result of fermentation – bread, yogurt, wine, beer, pickled vegetables, etc. Fast-forward to the Modern Age, it took modern science quite some time to establish connections between bacteria, food, digestion and overall health. It was not until the latter part of the 19th century, with the activity of Louis Pasteur, that micro-organisms (bacteria, in his case specifically) were deemed responsible for the process of fermentation. In the wake of this discovery, distinct strands of bacteria were associated with the different processes of fermentation. The great French scientist published his findings on the actions of bacteria in the bacteria-induced decomposition of sugars in 1860. The first modern medicinal use of what we today call probiotics happened at the turn of the 20th century when French researcher Henri Tissier discovered colonies of the lactic bacteria Bifido when analyzing the stools of children at the age of breastfeeding. The discovery prompted further research into the human intestinal flora. The conclusion of these early experiments was the advice of administering Bifidobacteria in patients with severe cases of diarrhea. The probiotic principle – which states that the global health of an organism may be improved through the ingestion of substances containing strands of bacteria that have a beneficial effect on the flora of the gastrointestinal system – was first stated by Ilya Metchnikov, a Russian chemist who elaborated on the findings of Louis Pasteur, later becoming head of the Pasteur Institute and Nobel-prize laureate in Medicine. After these breakthroughs, the study of enzymes involved in the fermentation process and the study of digestion from a microbiological point of view became widespread. In 1935, as a result of Japanese studies led by Minoru Shirota, a drink containing strands of the Lactobacillus became available for commercialization in Japan. This is today considered an important event in the history of probiotics, marking the departure from using solely foods containing beneficial bacteria, and the advent of probiotic synthetic supplements. The definitive entrance of the term probiotics in the scientific jargon (and in the extensive vocabulary) is considered the 1989 definition of British microbiologist Roy Fuller, taken from his article Probiotics in Man and Animals, a definition which focuses on the ingestion of live bacteria as supplements. 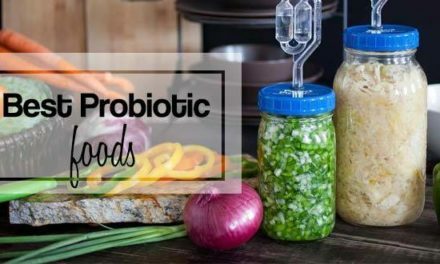 Before describing the proven and possible beneficial effects that probiotics have in the treatment of certain conditions, let us take a look at the readily available probiotic foods. While there are still debates on the quantities in which these foods should be consumed, a moderate and systematic inclusion in one’s diet is regarded as having a positive impact not just on the digestive function, but on overall welfare. Sauerkraut – provides more of a bacteria-friendly environment, not containing as many strains of probiotics in itself (at least in comparison with kefir). Sauerkraut is made from the fermentation of vegetables, cabbage, in particular, thus possessing a diversity of organic acids – the ideal breeding ground for lactic bacteria. It has been used since medieval times against conditions like diarrhea and constipation. Among its benefits is the high concentration of vitamin C.
Kombucha – is a byproduct of the fermentation of sweet black tea. It can be found in many national markets in the form of a sweet and slightly acidic beverage. The two principal probiotics found in Kombucha, saccharomyces boulardii and Bacillus coagulans, are known to be beneficial in the prevention and/or alleviation and treatment of diarrhea. Miso – is a traditional side dish used in Asian cuisines, produced from the fermentation of soybeans and brown rice. Its primary fermentation agent is Lactobacillus acidophilus, one among more than 150 strains of probiotics identified in this salty accompaniment. Yogurt – is probably the best known and the most widely and readily available of all probiotic foods. What is designed as yogurt is specifically Greek yogurt, manufactured from a cow, sheep- or goat milk. In the modern manufacturing process, selected colonies of bacteria are added to the pasteurized milk to prevent exposure to not-so-friendly strains of bacteria. The historical section shows that in the microbiological realm probiotics have a relatively extensive past. That should not lead to further assumptions, because when it comes to the medicinal and pharmacological field (and the legal superstructure that is associated), probiotics are very much a novelty. This should not be a cause for a surprise because the cost that thorough testing performed for a large number of bacterial permutations would be walloping, therefore a lot of time will pass before the marketing of probiotics as medicine will become a legal reality. Commercial supplements are always a tender subject, especially among medical professionals. It has to be stated that there is a fair share of truth in their decrying the ambiguity of some (many suggest most) of these products. One frequent observation made is that most tests of probiotic products are performed in an “in vitro” setting, with what is observed in this particular situation being what is then advocated on the label. On the other hand, there is a considerable amount of preliminary data suggesting that probiotics can be useful (if not in the treatment) in the managing of symptoms of conditions such as colic, diarrhea (both of infectious causes and that associated with a course of antibiotics), urinary tract infections, Crohn’s disease, irritable bowel syndrome or eczema in children. 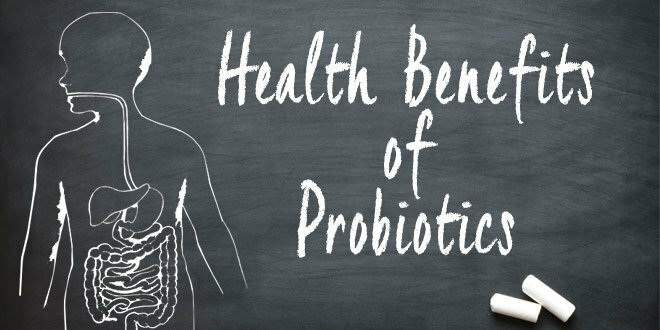 Probiotics indeed present another interesting facet of the whole question of nutrition and the increasing number of possibilities that healthy eating may influence our lives for the better. Food supplements will always reside adjacent to this ideal of healthy eating because shortcuts are always appealing. On the other hand, science is always evolving and the jury is still out on the many implications this field of study proposes. Nevertheless, at the moment there are a few certainties – probiotic foods can be a major factor in the quest for a healthy body (barring any allergies of course) and in the case of probiotic supplements, always consult a specialist before taking any!